This workshop held on Saturday, September 16, from 9:00 – noon, is open to anyone on the volunteer spectrum: those who have never volunteered for anything, to the seasoned volunteer leader (and everyone in between). 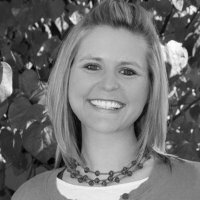 Good Shepherd will host Ms. Laura Kuhlmann, Director of Volunteers at the Saint Francis Center in Denver. Ms. Kuhlmann will discuss all aspects of volunteerism, from finding the right volunteer opportunity, to handling conflict and avoiding volunteer burnout. The congregations of Saint Gabriel’s in Cherry Hills Village and Saint Timothy’s in Littleton will also be invited to this exciting and engaging workshop. This is an important and unique opportunity to learn new skills (or hone existing skills) that can support our many ministries at Good Shepherd and the entire congregation is encouraged to attend. Register online or outside the parish hall.